We realize that this is Texas, so it may not feel like winter. However, we want all of our awesome Social Pie customers to know that we have now moved to our winter hours. We will be open from 11:00 am until 9:00 pm on Sunday, Monday, Tuesday, Wednesday, and Thursday. On Friday and Saturday, we will be open from 11:00 am until 11:00 pm. We appreciate your understanding as we move to these hours. Don’t worry, come spring we’ll be back to our normal hours. However, even with our winter hours, there is still plenty of time to enjoy the best pizza in Dallas! If you haven’t visited us yet (or it’s been a while), let us share with you have great our menu is! Not only do we have the best pizza in Dallas, we’ve got amazing salads, sandwiches, starters, and even desserts! We have 10 great Signature pizza pies which includes our Meaty Meat (red sauce, ground beef, jimmy’s sausage, pepperoni, and ham), our BBQ Chicken (bbq sauce, fresh red onion, and smoked bacon), and The Tony (garlic oil, chicken, spinach, Kalamata olive, goat cheese, and pickled jalapeno). Or design your own pie with one Of Our Five Amazing Sauces like Our Classic Red Sauce, Our Truffle Béchamel Sauce, Or Our Tasty BBQ Sauce. Then Get Creative And Pick Your Cheese And Toppings. More Cheese Please! We Give You A Variety Of Cheeses To Choose From At Social Pie. Go With Our Fresh Or Shredded Mozzarella, Try Our Parmesan Or Manchego, Be Unique With Our Feta Or Goat Cheese, Or Go Crazy And Try Them All! The Choice Is Yours, So Have Fun With It. Top Your Pizza Off With A Selection Of Meats Including Bacon, Chicken, Ham, And Pepperoni. And Don't Forget Your Veggies! We Have Over 10 Options Of Veggies To Pick From. 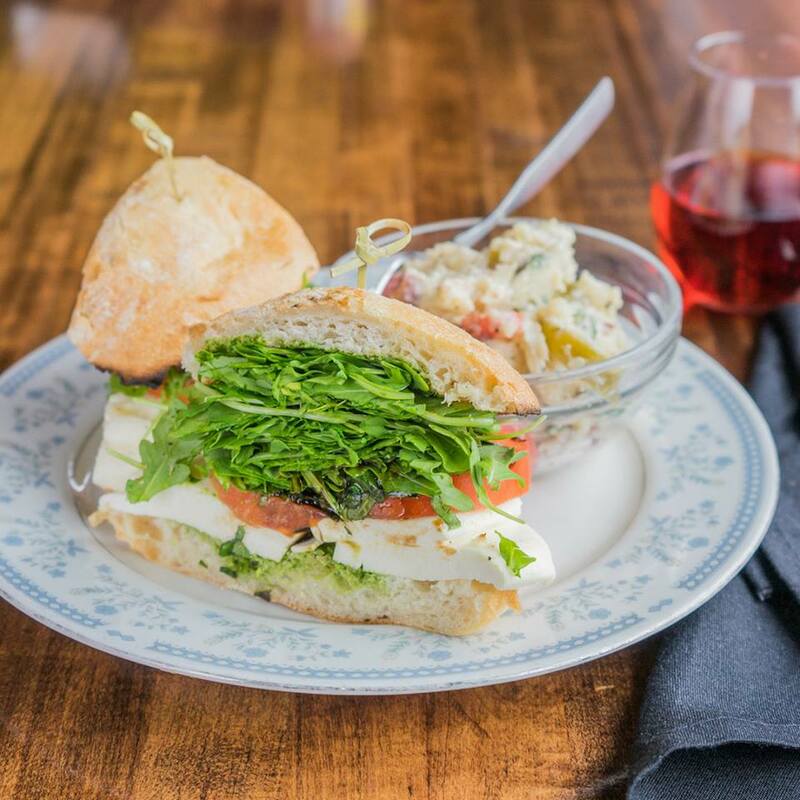 Try One Of Our Artisan Sandwiches Served On Rustic Italian Bread. We Have Tasty Creations Such As The Calabrese (Named For Our Owner Jonathan Calabrese), Which Includes Pesto, Fresh Mozzarella, Fresh Basil, Fresh Tomato, Wild Arugula, And Topped With A Balsamic Glaze. If You’re Looking For A Great Hot Option May We Suggest Our Social, Which Is Our House Creation Including Truffle Béchamel, Ham, Mushroom, Balsamic Shallot, Parmesan, Basil And Wild Arugula. Stop in today and see what other amazing items we have to offer on our menu. We can’t wait to see you!